Whiteboard writing board with a week at-a-glance planning grid. Magnetic whiteboard surface can be used with magnets or drywipe pens. 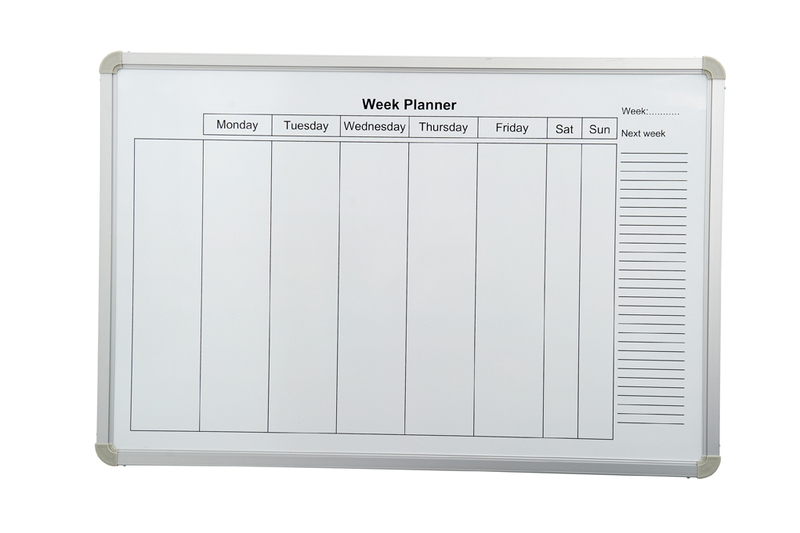 With an aluminium frame this wall mounted writing board is 900mm wide and 600mm high. Lots of space to write notes and appointments so ideal to use in schools.